In 1612, Antonio Neri wrote the first book devoted entirely to the formulation of glass. Titled L'Arte Vetraria, it covers a wide range of glass recipes, colors, enamels and artificial gems. Neri died two years after its publication. The book was recognized by artisans and scientists, but by mid century it had become something of a rarity. Finally, in 1661 the book was reprinted in Florence, in a smaller format (octavo), with some grammatical revisions but otherwise in its original form. The following year, London physician, naturalist and member of the Royal Society, Christopher Merrett, published an English language translation of Neri's book. 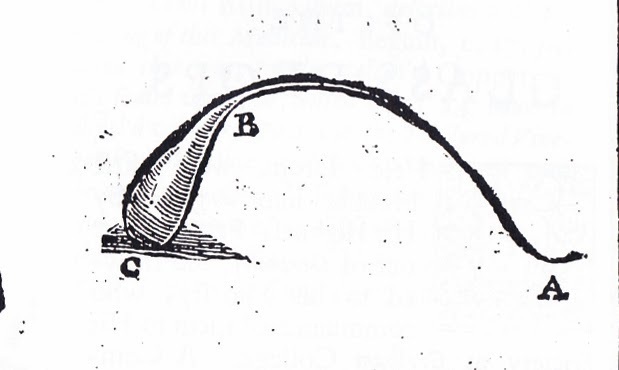 Toward the end of the volume, Merrett adds his own observations, and includes a section devoted to "Prince Rupert's drops," as had been recently demonstrated to the Royal Society. Also known as "Dutch tears" these are glass novelties, usually made about three or four inches long, shaped like a tadpole; round and bulbous at one end, tapering to a narrow point at the other. They are formed by dripping hot molten glass into a bucket of cold water. Once a drop cools to a solid, the bulbous end can easily endure a moderate hammer blow, yet if even the smallest piece of the tail is broken off, the entire object will immediately explode into a hail of tiny glass fragments. The explanation is that when the glass is forced to cool rapidly in the water, the outer layer contracts like a tight skin, holding the interior under great compression. Like a balloon, it remains stable as long as the skin is not compromised. When the tail is snapped off, a shock wave of cracks advances and encompasses the entire object. Once the compressive forces of the skin are released, the glass interior shatters. As mentioned, there is no direct connection between the glass drops and glassmaker Antonio Neri, but there is at least one interesting association. When Neri was in Antwerp for seven years visiting his friend Emmanuel Ximenes, the city was not exactly under siege, but a nasty civil war did rage all around (the eighty years war). The Dutch to the north wanted independence from Spanish-Hapsburg rule, and Catholic Antwerp was caught in the middle. 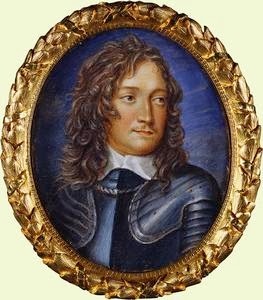 As a teenager, Rupert fought on the Dutch side, but this was long after Neri had returned to Florence from Antwerp. Before Neri left, he presented Maurice, the Prince of Orange with two vessels made from his best chalcedony glass, "which delighted him greatly." Rupert fought under Maurice's much younger brother, Frederick Henry. A third brother had courted his mother when she was young, as the two families enjoyed close ties. It is an open question whether Rupert saw or held any of Neri’s work in the Dutch royal households, but he clearly did take a keen interest in glass.